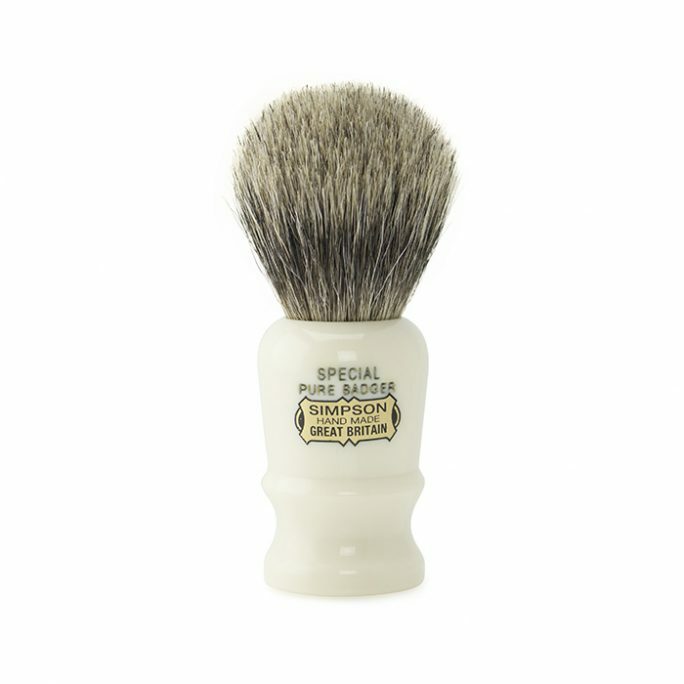 Shaving with a safety razor has always been the standard method of shaving since the early years of the 20th century. Their practicality and safety made them quite popular over the straight-razor. Initially available as single-edge razors, the safety razor slowly evolved into the double-edged razor which hasn’t change much in design since then. Shaving with a safety razor is still basically done the same way today as it was done over 100 years ago. Since 1974 when Bic first introduced the disposable razor, many men and women alike, have slowly been pushed into using disposable shaving razors. A result of intelligent marketing, the disposable razor has evolved into cartridge-type razors that can today contain up to five blades per shaving stick. But in recent years, there has been a steady increase in the number of people who are reverting to the traditional method of shaving with a safety razor. This trend towards the safety razor, as you will see, is for a good reason. While slick marketing has persuaded many men to adopt shaving with multi-bladed cartridge razors, it has in reality been a counter-intuitive move because shaving with a double edged safety razor is simply the most practical, cost-effective method of shaving. Following are the benefits of shaving with a safety razor as opposed to cartridge razors. A safety razor provides a cleaner shave than a cartridge type razor. This is because it has only a single blade unlike the multiple blades of a cartridge razor which pull at hair, cut wrongly and scrape the skin thereby causing ingrown hairs, skin irritations and razor burns. In fact, it is only a straight razor that can shave better than a safety razor, but then it comes with a very steep learning curve. In the long term, shaving with a safety razor is way much cheaper than using cartridge razors. The only problem with safety razors is the initial price of the razor which can cost anywhere from $30 to over $100. But the blades then cost about $0.10 each when you buy in bulk. Given that a cartridge razor handle costs about $10 and a pack of cartridges costs about $6, shaving with a cartridge razor will cost you about $130 in the first year and then about $120 every subsequent year. Shaving with a safety razor on the other hand, will cost about $60 in the first year, assuming you choose a cheaper safety razor model. Subsequent years will then cost you less than $20 if you buy the blades in bulk. Unlike the plastic handles of cartridge razors, safety razor handles are made from solid materials which are so durable that they are normally passed down from father to son. The slimmer design of safety razors makes them more ideal for hard-to-reach areas like neck crevices and under the nose. They are therefore better for shaping up mustaches and side-burns. 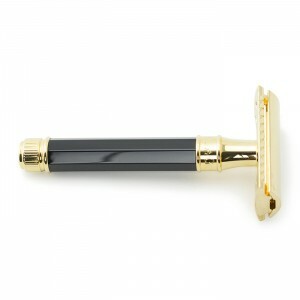 A safety razor looks infinitely more classy and masculine in the bathroom than any plastic shaver ever. Shaving with a safety razor makes it possible for you to reduce the amount of metal blades you dispose of regularly, plus you do not dispose of plastic at all. Recycling steel blades is also simpler than recycling a plastic and steel cartridge. Safety razors are much heavier than plastic cartridge razors. 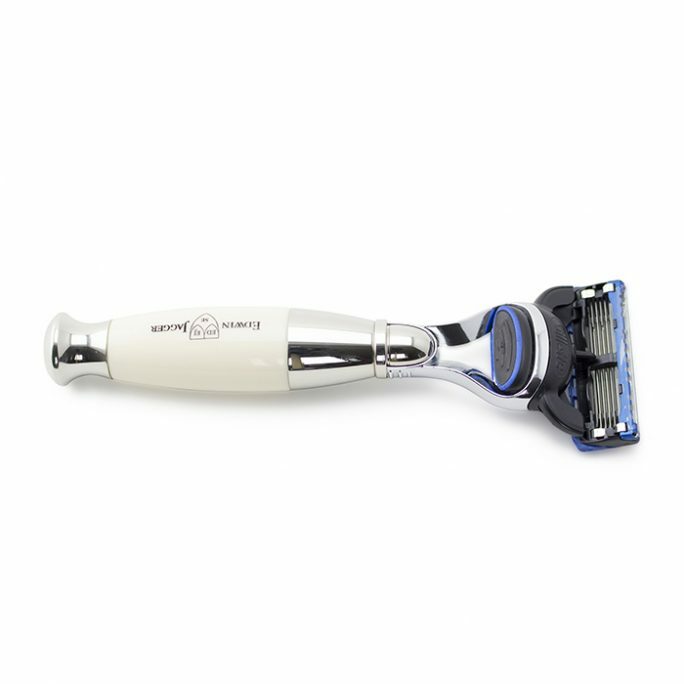 This makes it needless to apply force while shaving, resulting in a smoother, cleaner shave. Step 1. You need to wash your face with warm water or apply a warm towel to it. You could also start shaving after taking a bath or a shower, the important thing is that the warm water opens the skin and hair follicles leading to a smoother shave. Step 2. 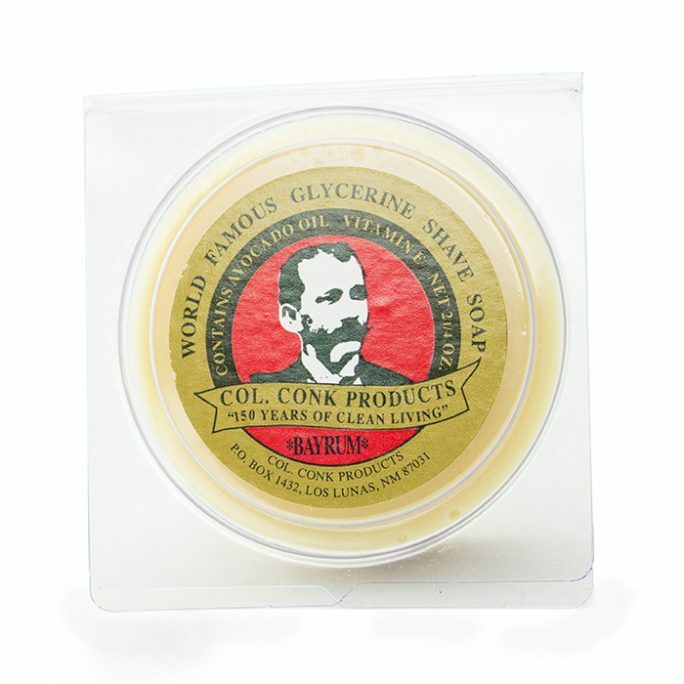 Generously apply a good amount of pre-shave gel or oil on the skin in the area of your face that you are about to shave. This is necessary to reduce friction. Step 3. Apply shaving cream or soap as usual. Try to lather your face in a circular motion. This is to ensure that the face is properly lubricated including the skin below beard stubbles. Step 4. Make sure your razor blade is fresh. It is possible though to use a safety razor blade up to 5 or 6 times, but just make sure you change it regularly, ideally once to twice weekly. Step 5. Hold the safety razor loosely and gently move your hand, allowing it to glide across the surface of your skin. Do not press it and do not try to force it, just be easy and gentle. It is important at this stage that you try and maintain the razor at a 30 degree angle to your skin because this is the perfect angle to shave with a safety razor. Step 6. After you are done shaving, wash off the remaining traces of shaving cream from your face using warm water preferably, then splash with cold water to close the pores. All that is now left is to apply a moisturizer or skin food to replenish the skin where you have just shaved and to act as protection. This part is very important to seal your shave in and kick off your day the right way feeling and smelling fresh. Finally, you can see that shaving with a safety razor is an enjoyable ritual of manliness that gets better with time. Practice makes perfect, therefore with time, even a beginner will be able to effortlessly and comfortable shave like a pro. 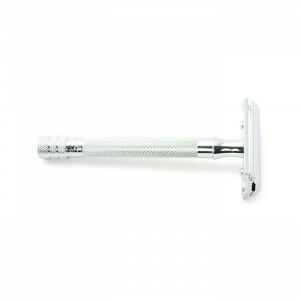 The DE3D14BL from Edwin Jagger is a very classically designed safety razor that offers you a firm grip while shaving. This ensures that your razor does not slip out of your wet hand. 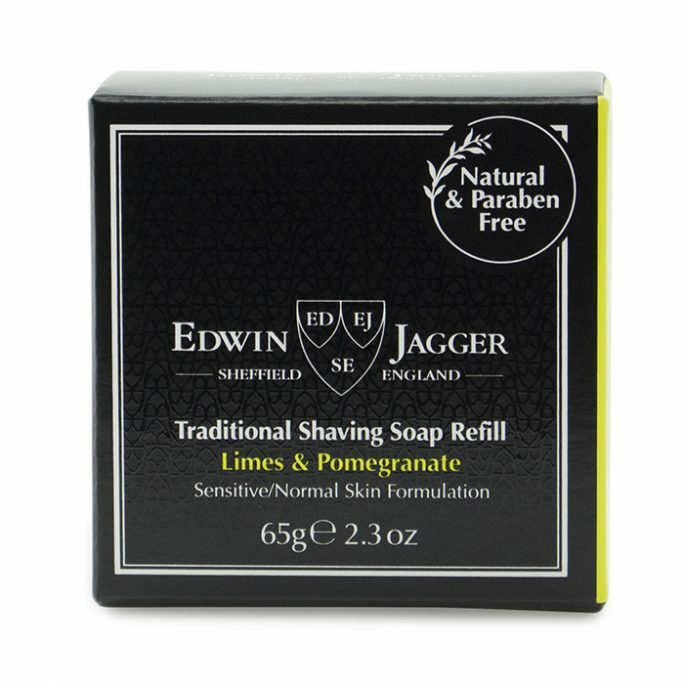 This is also one of the most popular designs from Edwin Jagger of England and can be quite fitting for any beginner. 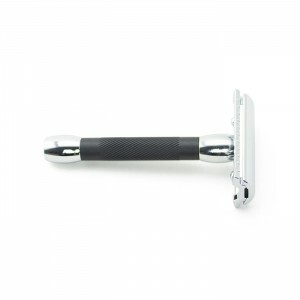 The chrome and black safety razor from Merkur is one of the lowest priced safety razors from this German manufacturer. Despite its low price, this razor is of high quality. The soft rubber offers a nice grip and is also perfect for wet hands. With its price and quality, this razor makes shaving with a safety razor even more cost-effective. 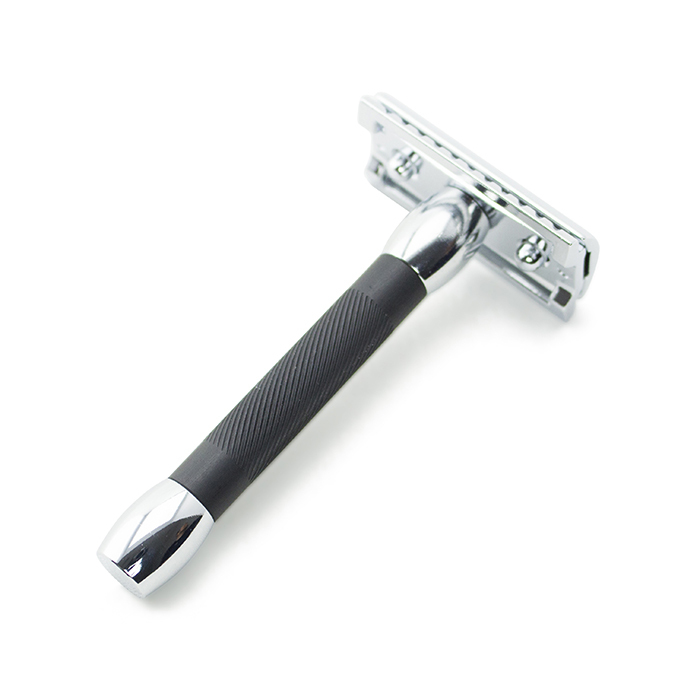 This safety razor is the German equivalent of the Edwin Jagger DE3D14BL. 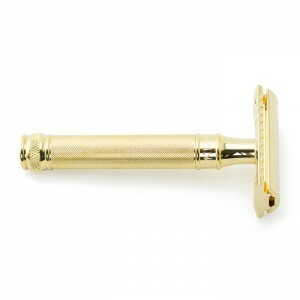 It is also a best seller and perfect as a first razor. This safety razor is the one to get if you really love style. This gold plated beauty will not only enable you to perform clean shaves, it is also an object of beauty that will give your bathroom a true masculine touch. The DE86811GBL from Edwin Jagger is a beautifully made safety razor in a classic design. It features gold plated parts with a faux ebony handle. The octagonal shape of this beauty puts it in a class of its own and it will both offer you a clean shave and be as well a prized possession. – Can i shave my head with a safety razor? Yes, it is possible, but you must be extremely careful not to cut yourself. You must follow the same procedure mentioned above for the most optimal results. – Can i shave my groin area with a safety razor? You better not, because you will definitely cut yourself. Women on the other hand can have more luck given the differences in anatomy. There are other solutions such as trimming with a beard trimmer or scissors. You can alternatively use hair removal creams such as Nair. – What is the best shaving angle? The best angle to keep the safety razor at while shaving is 30 degrees. Don’t get frustrated if you aren’t able to perform the perfect shave on the first try. Wet shaving with a safety razor is an experience and art which could be perfected over a lifetime. Just have fun with it! – Can i fly with my safety razors? No, due to the rise in terrorist attacks, safety razor blades, amongst other items, have been banned by many countries and most airlines from being taken aboard an aeroplane. – Can i buy double edged razor blades in bulk? Yes, and they can cost as low as just pennies a blade. In the beginning, it might be better to buy a few different brands from different manufacturers. After testing them out, you will know which blade brand is your brand that you will stick to.